In the current study, the research team activated the sonic hedgehog (Shh) signaling pathway used by cells to communicate with each other. The pathway is known to be very active during the early stages of human growth in the womb, when hair follicles are typically formed, but is otherwise stalled in wounded skin in healthy adults. The researchers suggested this could possibly explain why hair follicles fail to grow in skin replaced after injury or surgery. “Our results show that stimulating fibroblasts through the sonic hedgehog pathway can trigger hair growth not previously seen in wound healing,” adds study senior investigator Mayumi Ito, Ph.D., an associate professor in the department of dermatology at NYU Langone Health. Regrowing hair on damaged skin is an unmet need in medicine, Dr. Ito says, because of the disfigurement suffered by thousands from trauma, burns, and other injuries. However, her more immediate goal, she adds, is to signal mature skin to revert to its embryonic state so that it can grow new hair follicles, not just on wounded skin, but also on people who have gone bald from aging. Scientists have until now assumed that, as part of the healing process, scarring and collagen buildup in damaged skin were behind its inability to regrow hair. “Now we know that it’s a signaling issue in cells that are very active as we develop in the womb, but less so in mature skin cells as we age,” notes Dr. Ito. 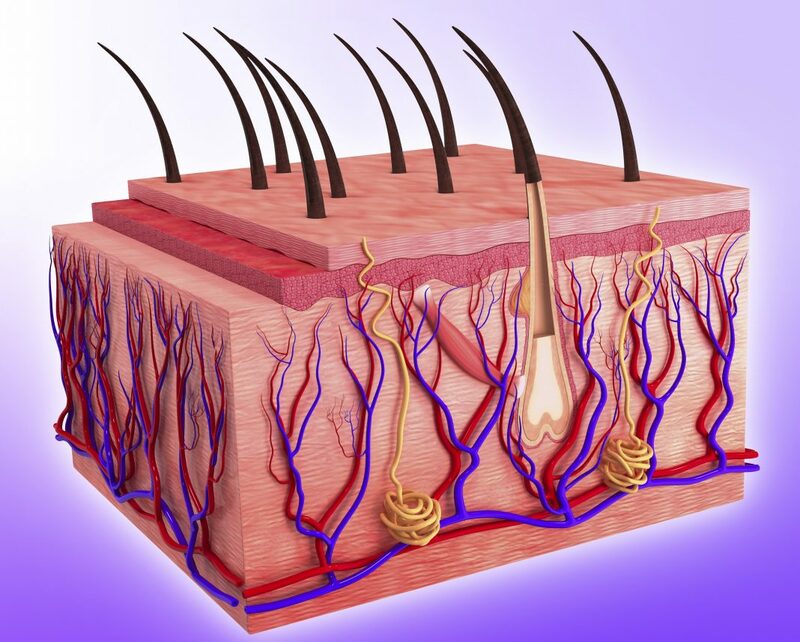 To bypass the risk of tumors reported in other experiments that turned on the sonic hedgehog pathway, the NYU Langone team turned on only fibroblasts located just beneath the skin’s surface where hair follicle roots (dermal papillae) first appear. Moreover, researchers have also zeroed in on fibroblasts because the cells are known to help direct some of the biological processes involved in healing. Dr. Ito says her team plans further investigations into how chemical and genetic stimulants of fibroblasts might activate the sonic hedgehog pathway in wounded human skin. Her goal is to identify likely drug targets for hair regrowth.